Sportsmen and women are trained from an early age to focus on the here and now, but for two British cyclists in particular, thoughts have already turned to next year’s UCI Road World Championships in Yorkshire. 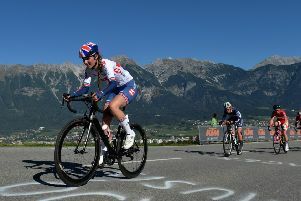 This week’s global gathering in Innsbruck represented a moment of personal pride for both Hayley Simmonds and Alex Dowsett in representing their country at the highest level. The bigger guys, like me, will also be looking at it thinking ‘there’s enough there for me to be competitive as well’. So I think we’ll see a much more competitive and closer race than we have seen the last couple of years. But beyond that there was little else as a mountainous time-trial course through the Alps gave them little hope of troubling the medal rostrum. 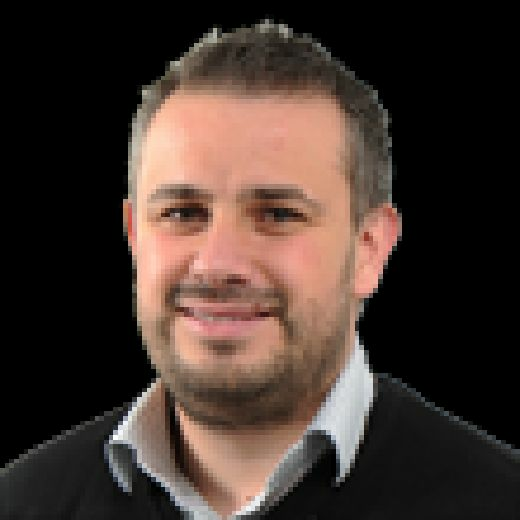 So it proved with Simmonds, 30, from Redditch, finishing 23rd – some three and a half minutes off the pace, and Dowsett 29th in the men’s event, five and a half minutes behind new world champion Rohan Dennis earlier this week. Next year’s races in Yorkshire offer both riders, and indeed a large percentage of the field, a better chance of challenging for the rainbow jersey. The elite women’s time-trial will be contested over a 32.5km route from Ripon to Harrogate on Tuesday, September 24, while the men race against the clock 24 hours later over a 54km course from Northallerton to the world championship hub in Harrogate. “This year we have the incredible scenery, but a lot of people are saying maybe there are only a couple of people who can win,” said Simmonds. “Next year in Yorkshire you have some really tough climbs, but you have a circuit that is quite technical. “As the British riders all know, the roads in the UK, and in particular in Yorkshire, are pretty grippy, so it’s going to make for some challenging racing. Dowsett, 29, from Essex, is a former world championship team time-trial bronze medallist who has represented Great Britain at this event on a number of occasions. “The time-trial route in Yorkshire looks superb,” he said. “The last two years we’ve seen some huge climbs, which is great for the guys that have won, but it puts a lot of guys out of the race. “A course like the one in Yorkshire it’s undulating so the climbers will be looking at it thinking, ‘yeah, that’s enough for me to create gaps’. A full 12 months may be between the two of them and their bid for glory on Yorkshire’s roads, but already the planning is underway and the excitement is building. For Simmonds the chance to represent her country on home terrain will come just five years after she stood as a fan watching the Tour de France in the United Kingdom. “I got into cycling quite late, with the 2012 Olympics in London and the Tour de France in the UK being massive inspirations for me,” she said. “In 2014 I was a spectator at the start of the Cambridge stage where I went to university, watching from the side of the road. “So to now have the opportunity of racing at the world championships is really motivating for me next year. 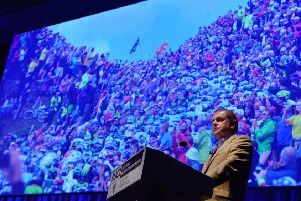 “The Tour de Yorkshire was my first UCI race of the year in the UK and some of my lasting memories of 2018 will be cycling along those roads and having all the school kids out cheering and shouting. “They were crowds unlike anything I’ve seen before. Dowsett added: “It’s one of just two opportunities a year to pull on a GB skin suit and that’s a proud moment every single time. “To be able to do that on home roads is a once-in-a-career opportunity, so there’ll be a lot of planning from a long way out. “Every single rider is going to be thinking the same way I am. “I’m an Essex boy through and through, so it pains me to say that Yorkshire is the cycling capital of the county, but it is. Here in Innsbruck yesterday it was the turn of the juniors as the road races got underway. Austria’s Laura Stigger gave the home crowd reason to cheer when she won a sprint finish in the women’s Under-23 road race. Remarkably it was only the second road race the 18-year-old has contested, the Innsbruck native being a mountain biker by trade. Two young Yorkshiremen got their first taste of world championship competition in the junior men’s road race. Sam Watson, 17, from Leeds, and Mason Hollyman, 18, of Emley, finished well down the field, but given the winner Remco Evenepoel of Belgium turns professional next season it underlines the quality of the field in their first year at the level.